What is a Health Club Bond? Health Club Bonds are a type of financial guarantee bond that must be obtained by any health club or health spa that wishes to collect fees from members up front, before services have been given. Simply put, these bonds protect clients that have paid up-front for club memberships, should that club fail to carry out their promise stated on the membership agreement. These are also referred to as Health Spa Bonds, Health Studio Bonds, and Fitness Club Bonds. How much does a Health Club Bond cost? How do I get a Health Club Bond? Can I get approved for a Health Club Bond if I have bad credit? How do membership dues impact Health Club Bond underwriting? What could cause a claim to be placed against my Health Club Bond? Will my Health Club Bond work for multiple locations? Health Club Bonds are underwritten a little more strictly than most other types of commercial bonds. Rather than ensuring compliance with a license, these bonds are a form of financial guarantee. Subsequently, the owner's personal credit is one of the biggest determining factors in what the cost will be. Owners with excellent credit may be eligible for standard market rates, which range from 1% to 3% of the bond amount. Applicants with bad credit may find it more difficult to get bonded, as there aren't too many bond companies writing these for higher risk applicants. Annual premium for these applicants can range between 5% to 15% of the bond amount. For more information on surety bond premium, visit our page on Surety Bond Costs. First, apply for one. Once you’ve been approved, your licensed agent will provide you with the annual cost, as well as an indemnity agreement with the surety. Once you’ve provided premium and a signed copy of the agreement, your Health Club Bond will issued and sent to you right away. Yes, but it may negatively impact the price. Not every surety bond company is willing to offer bonds to applicants with bad credit. Applying with a bond agency such as Lance Surety offers you the best chance at getting approved at the lowest possible rate. Reason being, we have relationships with a variety of markets with access to exclusive bad programs not offered by all agencies. Most underwriters will want to know whether a health club collects membership dues annually or monthly. Gyms that collect membership fees up front for the year are considered to be a higher risk in the eyes of the surety, as this greatly increases the likelihood of a claim. This may impact the bond cost. The most common cause of claim against a Health Club Bond is when a health club owner goes out of business, but fails to return unearned money collected up front via membership fees. This essentially is why the bond is required in the first place, and what it is designed to protect against. If you receive a claim against your bond, contact your bond agency or the surety claims department right away, and take action to get the issue resolved immediately. This will vary by state. 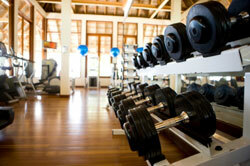 However, most states require a separate surety bond to be posted for each gym location. Therefore, if you have 5 different locations in your state, you'll likely need to purchase 5 separate surety bonds. Be sure to check your state's regulations before opening your doors to ensure proper compliance.